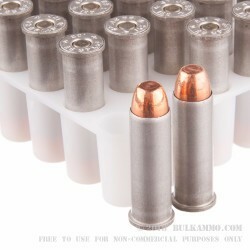 This ammo also features non-reloadable aluminum cases with Clean-Fire Boxer type primers. These rounds have a subsonic muzzle velocity of 850 feet per second, and the muzzle energy pushes up to 253-foot pounds. These come in rectangular boxes of 50 rounds, with 20 boxes per 1000 round case. 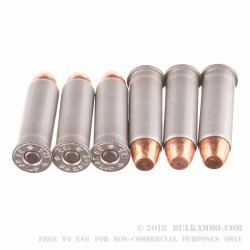 These +P 38 Special loads are great for your little concealable Snubnose, for indoor range practice, and for plinking. (Just be sure to check your firearm and confirm that +P rounds are ok to use.) Stock up with a case of these rounds now! 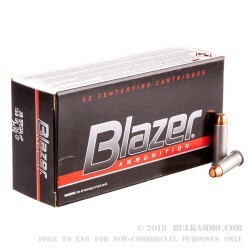 Blazer Ammunition is a division of Vista Outdoors. Vista Outdoors is a large company that owns and operates multiple companies in the outdoor sports industry and the shooting industry.